With gold having finished 2018 and starting 2019 very strong, it is now back in the headlines. The shiny pet rock is worth 7.5% more than it was just two months ago, which is proving a good reminder to mainstream investors that gold is a loyal pet in tough times — especially for those who just watched their stock-based savings take a 15% punch in the gut during the same time. Headlines are also being stoked by recent mega-deals in the space. 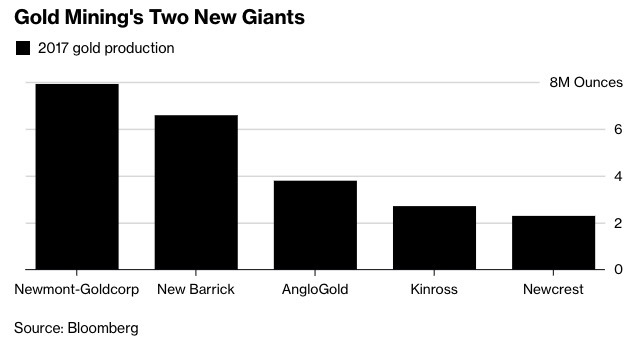 Last year, Barrick and Randgold combined to create the world’s largest gold company. Their reign was short-lived as this week Newmont announced it was combining with Goldcorp in a $10 billion deal. If gold is going to have the sustained bull market I’m expecting, it’s going to require some new capital. There will be some neophytes. Where shall they start? And even for the converted, it’s good to review the basics every now and then, especially with the foundation of the industry now undergoing some major shifts. Go to the Apmex or Kitco websites or your local dealer or call up Van Simmons and buy some gold coins. American Eagles or Saint-Gaudens Gold Double Eagles or Liberty Gold Double Eagles. The main thing is that you’re buying bullion coins with as small a premium over spot as possible, not fancy graded coins (numismatics) or stuff you see on QVC. Store them in your safe or bury them in your backyard. Get a safe deposit box. Pay a local private vault in your area. 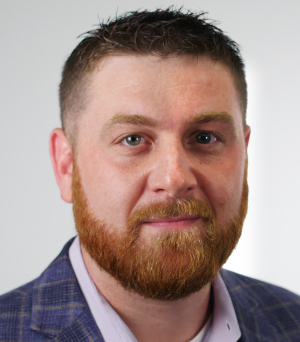 Use the third-party storage of a reputable dealer. You can also buy gold in paper form. 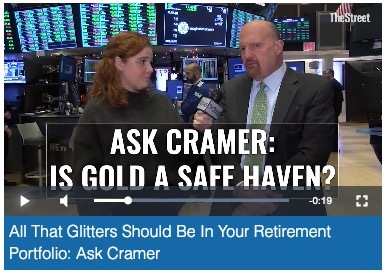 You can buy SPDR Gold Shares (NYSE: GLD), which is designed to reflect the price of gold bullion and is the largest physically-backed gold exchange-traded fund in the world. You can buy the Sprott Physical Gold Trust (NYSE: PHYS), which also tracks the price of gold but has the added benefit of being redeemable for physical gold. You should also own gold-related stocks — shares in companies that produce gold. This again can be done through a fund. The VanEck Vectors Gold Miners ETF (NYSE: GDX) is the most popular. It holds a basket of nearly 50 companies in the gold mining industry weighted by market cap. That’s where you get all the top gold mining companies like Newmont-Goldcorp (NYSE: NEM), Barrick (NYSE: GOLD), AngloGold (NYSE: AU), Kinross (NYSE: KGC), and Newcrest (OTC: NCMGY). VanEck also offers a “junior” version in the Vectors Junior Gold Miners ETF (NYSE: GDXJ). There is much overlap with the GDX fund and it’s really more of a mid-tier than a junior fund. There is a gold exploration fund called the Global X Gold Explorers (NYSE: GOEX). But at only $34 million in net assets it is very small. And again, it owns mostly mid-tier companies, not what I would consider junior explore-cos.
You can also have fun if you dare with leveraged funds that go up or down 2X or 3X the return of gold’s price or a basket of gold stocks. I’ve enjoyed trading the triple-leveraged Junior Gold Miners Bull & Bear 3X (NYSE: JNUG) from time to time. But my bread-and-butter — where I’ve made the most money and the most profitable recommendations — is by researching and investing in individual pre-production gold companies. I own coins and I own large miners. But I own more individual small companies when it comes to the gold space than anything else. They are the highest risk, but they provide the most leveraged returns. When the gold price goes up, everything I mentioned in this article will go up. Some will go up commensurate with the price of gold. Some will go up thousands of percent higher. The gold price hasn’t gone up in five years. It’s starting to, which is why I wrote this broad piece. See why we think gold is going much higher and some of the best individual companies to own in the report here.